For London loan shark Tony Lord, Italy is light years away from the world he knows. He is in Abruzzo, not Naples. How he got there is a mystery to him. Frankly, he sort of has an inkling but he would prefer to ignore the dramatic implications in Antonio Simoncini’s Lords of London (trailer here), which releases today on DVD from Lionsgate. Essentially, Lord inherited his father’s trade, even though the old troglodyte never took much interest in him. We will witness his dysfunctional formative years through Lords, fils’ many flashbacks. He will have some time for meditation whether he wants it or not. After getting shot by one of the many people he did wrong, Lord wakes up soaked in blood, but otherwise none the worse for wear in dilapidated villa outside a ridiculously picturesque Abruzzo village apparently stuck in the 1950s. Much to his consternation, the entire village ignores him, except for the twinkly-eyed Francesco. The café owner is concerned the English punk his daughter has been seeing is no good, so he asks Lord to keep an eye on him. 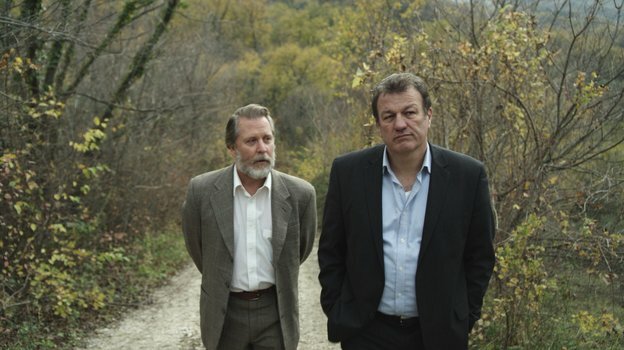 Unfortunately, the displaced gangster more than confirms Francesco’s suspicions. By now you probably have a good guess just who everyone really is and what their relationships to each other are. That means you are exponentially quicker on the up-take than Lord. Yet, for some reason Simoncini insists on nursing his transparent secrets until an anti-climactic third act reveal. Arguably, the film might have been more effective if it had laid all those cards on the table rather than pretending to fool us. Frankly, as director and screenwriter, Simoncini somewhat bungles the light fantastical elements, inadvertently creating a scenario where Ray Winstone’s Lord Sr. presumably ages about three or four decades in the span of five or six years. Maybe that would be possible during Callaghan’s Winter of Discontent, but not the swinging Macmillan years when he appears to be prowling about. On the other hand, the ancient village and surrounding countryside look amazing thanks to cinematographer James Friend, who gives it all a classy chiaroscuro-like glow worthy of the Old Masters. Similarly, Giovanni Capalbo (whose wildly diverse credits include both Mel Gibson’s The Passion of the Christ and Abel Ferrara’s Napoli, Napoli, Napoli) is quite the old Zen charmer as Francesco. He also manages to maintain some sense of mystery regarding what his character is up to. 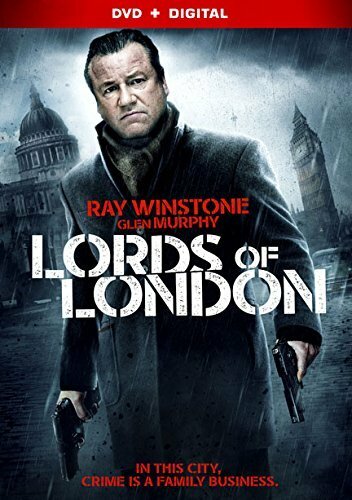 Glen Murphy is also pretty solid as the rather dense Lord, the sort of hardnosed role one could easily imagine Craig Fairbrass assuming. However, Ray Winstone is a surprisingly let-down as the elder Lord. All snarl and no swagger, he just doesn’t seem to be having fun with it. Simoncini is going for the vibe of warmer, fuzzier Richard Matheson, like Somewhere in Time and What Dreams May Come. He doesn’t consistently pull it off, but earns credit for trying. At least it always looks great. Recommended for anyone considering an Italian vacation, Lords of London releases today (9/1) on DVD and digital from Lionsgate.